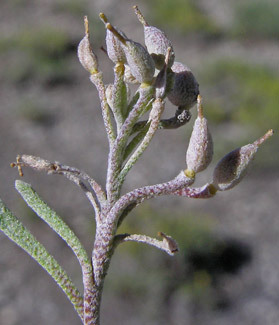 There are nearly a dozen Physarias (Bladderpods) in the Four Corners area; Physaria acutifolia is the most common. 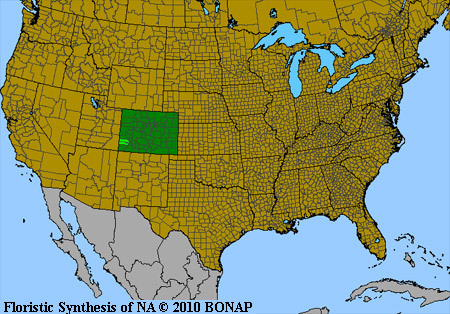 The genus was named by Asa Gray in 1848 and is now greatly expanded with the addition of all former members of the Lesquerella genus. "Physaria" is Greek for "bladder". Lone Mesa State Park, June 11, 2008. 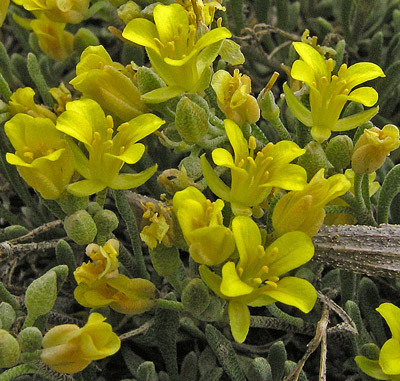 The plant was named and described by Steve O'Kane and James Reveal in 2006. "Pulvinata" means "cushion". Lone Mesa State Park, June 24, 2008. 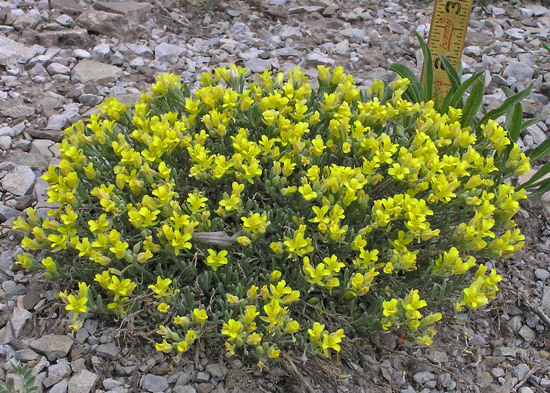 Although Physaria pulvinata is a rare plant with a very, very limited range, within that range it is quite often very common with dozens of plants near each other. 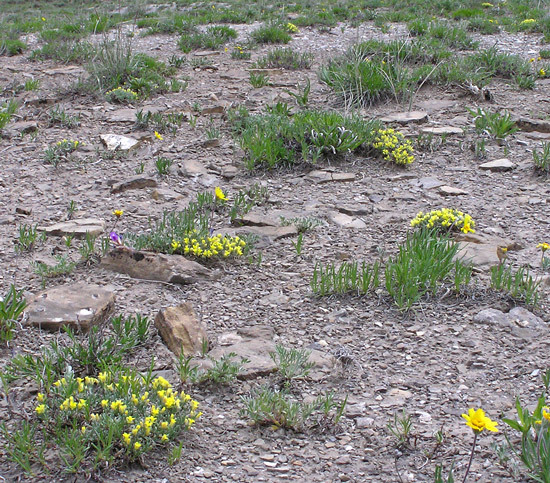 The plant grows just on highly weathered Mancos Shale and when it finds this suitable home, it grows with great enthusiasm.